Do you see what I saw? To me, it was so clear! But then again, I might just have a weird imagination. Anden changed again each time I stopped and pulled over. I’m anxious to read what you folks think, especially from the top photo. Regardless, it was a lovely sky as I drove makai to home today. This entry was posted in 365 Days, Da Kine: Sometimes Full-on Pidgin and tagged clouds, skies. Bookmark the permalink. 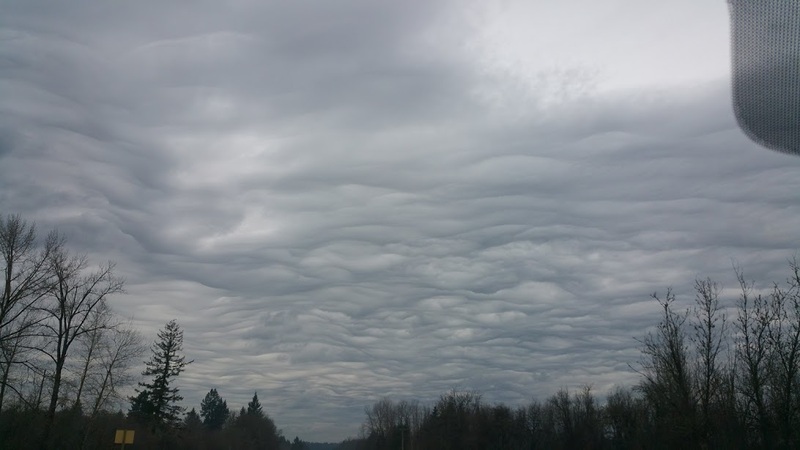 On Fox12 Oregon the meteorologist gave the name for those clouds, a relatively new designation. But I’m not sure what you saw in the clouds! I think I see a face. In the upper left corner, about 1/2 way up–the bright spot is the nose. I can see kind of distorted eyes, a mouth and a light-colored tongue waggling in the opposite direction from the nose. 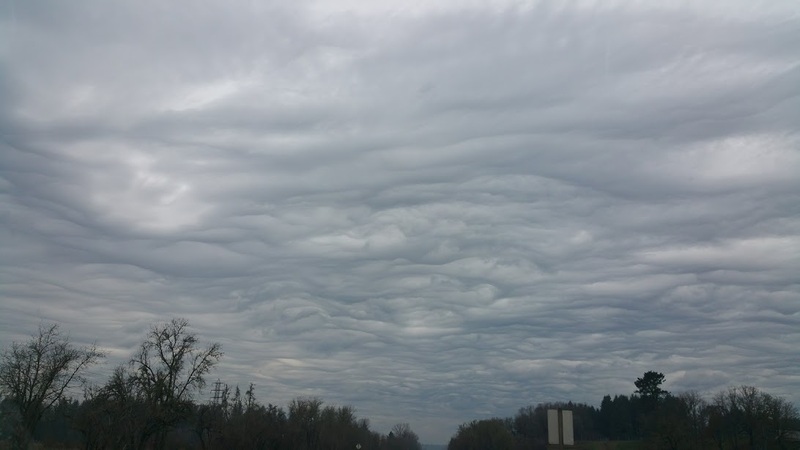 Michelle–are these “mammatus” clouds? (I’m a weather geek wanna-be.”) If so, they’re an indication of turbulent weather. 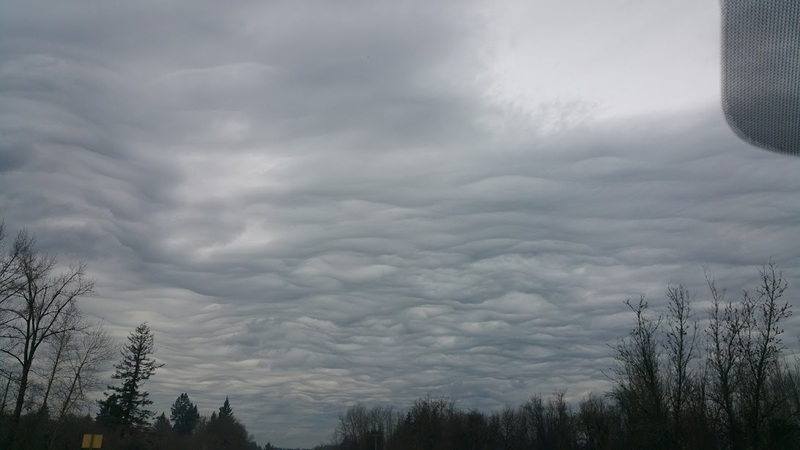 No, I’m familiar with that term; the meteorologist called them “Asperitas,” just changed from “Undulatus Asperatus” last year. 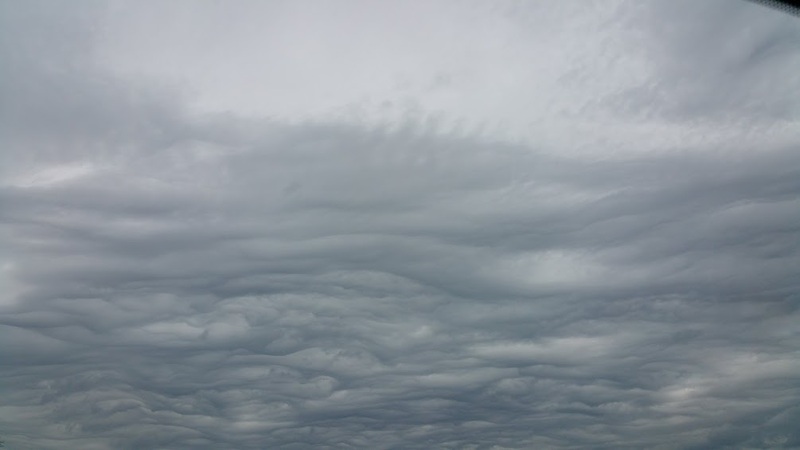 I love that name for the clouds; saw it on Mark Nelson’s blog post. I’ll have to post another photo of the face that I saw and highlight it. It didn’t look like a happy one. Thank you both for your comments!